A few years ago, while visiting a mosque in a European capital, I came across a small circle of young women in a heated discussion about democracy. At first, I thought, ‘how refreshing to find young women speaking about such critical issues in a mosque!’ However, my heart quickly sank as I heard one woman decry any participation in the democratic system. “To vote in this Western system is to go against your religion,” she said. The other young women listened intently, and to my great surprise, no one challenged her statement. I participated in the discussion, being the lone dissenting voice, and soon realized that the often marginalized experiences of the Muslim community in that particular city was quite different than that of our own communities back home in Canada. And for that I was extremely grateful. Most Canadian Muslims, like most Muslims around the world, have long ago realized that such debates about the compatibility of Islam and Western democracy have been settled. The consensus is that Islam is most certainly compatible with democracy and that it is in fact a civic duty for Muslims to participate in the democratic process in order to contribute to the well-being of our communities. However, statistics point to a troubling truth – Canadian Muslims participation in electoral politics is low: historically lower than the participation of most other major religious groups – though the numbers are in flux. According to analysis by researcher Daood Hamdani of the 2002 Ethnic Diversity survey, as well as his study of Canadian Muslim women in 2005, the Muslim voter rate is around 46.5 per cent. Hamdani further points out in his recent report for the Canadian Dawn Foundation titled, “Canadian Muslims: A Statistical Review” that in the 2000 federal election, the Muslim participation rate was 25 per cent less than that of Christians and Jews, 19 per cent lower than that of Hindus, and 14 per cent less than that of Sikhs. The key question must be: why? There are no simple answers, mainly because there aren’t many in-depth, professional surveys gauging the motivations (or lack thereof) of Canadian Muslims when it comes to voting. The Environics Institute did survey the issue in 2006 superficially: 51% of Canadian Muslims questioned said they had voted in that year’s elections, and another survey is coming soon. However for deeper analysis, one has to look to general surveys and research into the participation rates of immigrant and newcomer communities, as well as those of non-European cultural groups to try to understand what might be discouraging participation. Elections Canada published a 2007 working paper exploring the participation of ethnocultural communities in previous elections. It is a treasure trove of information that should be read and internalized as we find ourselves in another federal campaign. Unfortunately for those who care about such issues, the report may signify the last of such in-depth government-funded analysis given budget cuts and changes to the mandate of Elections Canada under the federal government’s new “Fair Elections Act”. Canadians who acquire citizenship after immigrating to Canada or who belong to non-European cultural groups vote at lower rates than eligible voters born in Canada or members of the majority cultural group. Immigrant status is not a barrier to participating, but that being a newcomer to Canada can sometimes be a barrier to voting. So Canadians who are more established in their communities are more likely to vote (though it can take up to 20 years to close the ‘turnout gap’). Among all immigrants, factors associated with a lower turnout were brief residence, youth, lower income, a high school education only, single marital status, a weaker attachment to Canada and a higher level of trust in one’s own family members. Different ethnocultural communities will have different attitudes towards voting. For example, Greek community leaders cited “habit, a taste for voting and duty” as the main reasons for relatively high voter participation, while Chinese leaders suggested that electoral participation “was not a significant part of the community’s political culture”, and in fact, was sometimes deliberately avoided. Community leaders can have a positive impact on mobilizing participation, particularly as was the case of the Canadian Muslim community in the 2004 election in which Canadian Muslim organizations played a key role in informing voters about strategic issues. Some estimates are that 80 per cent of eligible Canadian Muslim voters took part in those elections– though this is unverified. Communities where languages other than French or English dominate often had lower turn-out rates, ie. Cantonese, Portuguese, and Italian. Voters who were struggling economically also were less likely to vote. Why is this important information for all Canadians? Voter participation rates are symbolic of the health of a democracy. Much to the dismay of those of us who strongly believe in voting, fewer Canadians cast votes in the 2011 federal election that at almost any other time in Canada’s history. According to the Conference Board of Canada, 53.8 per cent of eligible Canadian voters cast a ballot in the most recent election. That was only slightly higher than the 53.6 per cent of voters who took part in elections in 2008. Unbelievably, Canada ranks 14th among 17 other peer countries. Unfortunately, the situation may not get much better this time around. Livianna Tossutti, Associate Professor at Brock University, and the author of that 2007 working paper, examined best practices both in Canada and abroad to boost voter participation among ethnocultural groups. In Canada, there were some very serious efforts made. In 2004, Elections Canada hired 59 ethnocultural community relations officers in 48 electoral districts; in 2006, 64 were hired in 53 districts. They were mandated to work with communities, place posters in key locations, drop-in to meetings and places of worship and give workshops to encourage voting. They distributed election materials to second-language institutions and monitored ethnic media. Only Canada, the U.K. and Sweden supported projects like these to engage and partner with community organizations. But under Canada’s recently passed “Fair Election Act,” which some political parties have called “unfair,” Elections Canada can no longer engage in voter education (except for elementary and secondary school students, and even that was a hard-fought win). It remains to be seen whether or not there will be any outreach at all this election. That means that the role of engaging voters from communities historically less likely to vote will now fall primarily on the shoulders of community leaders and community organizations themselves. On the one hand, finding sustained funding to mount coordinated and professional civic engagement efforts will be challenging for community groups and associations already struggling to survive, let alone to thrive. But on the other hand, greater community engagement can itself lead to greater voter participation. Research shows that when communities have strong associations, they are in fact more likely to participate in national and local politics. The working paper points to Holland, for example, where members of supportive, interconnected Turkish community organizations are highly engaged and well represented in non-Turkish institutions, including in government. This offers an important lesson for Canadian Muslims, indeed all minority communities wishing to promote an active and involved citizenry. Strengthening our community networks, our institutions, as well as our supports for new immigrants and youth, will help to ensure that more of our voices are heard. That means that both on individual and institutional levels, we should be aware of potential barriers to participation – as summarized above – and do all we can to help fellow community members overcome them. For a country as diverse as Canada, that’s a sure win for everyone. 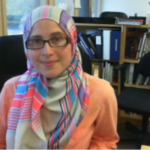 Amira Elghawaby is the Communications Director for the National Council of Canadian Muslims (NCCM). 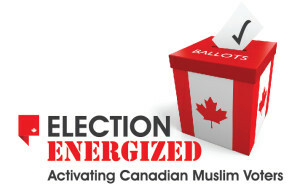 NCCM recently launched a civic engagement campaign titled “Election Energized: Activating Canadian Muslim Voters”. To find out more, visit www.nccm.ca.